TenPlus Systems has been operating in Raleigh, North Carolina for more than 25 years. The company focuses on excellent customer service through presales consulting, desktop service and support, and network engineering and integration for both business and personal computer users. We serve thousands of clients, located throughout the Carolinas and southern Virginia. 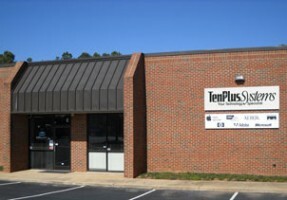 TenPlus Systems began as Advanced Mac Solutions in 1992 and has grown into the Triangle’s premier reseller and service provider for Apple’s incredible line of high-technology products. Designated by Apple as a Premier Level Apple Specialist, TenPlus Systems meets Apple’s highest levels for sales, service and networking certification. We are also proud to be an authorized reseller and service provider for Lenovo. We offer a full range of products and services to ensure that you don’t have to worry about keeping your systems and networks running so that you can concentrate on using your technology for the profitability of your business or for fun at home.